Downloading videos from YouTube to an Android smartphone or tablet means just one thing: TubeMate. Although it’s true that over the years, dozens or rather decent alternatives to download contents from Google’s video platform have popped up all over the place, none of them are as renowned or as high-performing as this classic YouTube Downloader, something similar to an aTube Catcher for mobile devices. That doesn’t mean that Videoder, Snaptube or Peggo aren’t good enough, but they simply don’t have the experience, the popularity, and the efficiency of the tool developed by Devian Studio. Therefore, if you’re one of those users that due to any strange reason want to save a local copy of the videos hosted on Google’s servers instead of accessing them online, maybe because you don’t always have an Internet access or because you’re afraid that your favorite videos will be removed for not adjusting to the guidelines set out by the Mountain View giant, this is definitely the application you need to download and install on your phone. Unfortunately, despite how hard you search, you won’t be able to find it on Google Play as the official Android marketplace doesn’t allow the distribution of tools that download videos from YouTube as that would go against their own interests. Luckily enough for you, in this tutorial you’ll find out how get hold of its APK and install it on your phone (and even uninstall it if you’re not too happy with it), keeping it always updated to its latest version, apart from telling you all about what it is, what’s it for and how to use it. Theory is great but you’ll also want to learn how to use its core function: downloading videos. For such purpose, we have brought together a series of tips, tricks, and help so that you can become an expert in this matter. We’ll explain step by step how to download videos using this app, in the format and resolution of your choice, using any of the options available (by means of the built-in search engine or accessing the recommended videos), and how to download music and songs in MP3 or AAC format with qualities of up to 128 kbps, also telling you where each downloaded file is saved so that you can do whatever you want with them. Furthermore, we’ll deal with all the most frequently asked questions and doubts that may arise about the software, especially in terms of legality and security, since many users wonder how legal and safe it is to use an app of this nature that has never gone through the Google Play Store’s strict controls. We’ll also teach you all those tiny tricks that are so necessary to improve your user experience such as solving any problem that may arise during its use and that prevent us from downloading videos and removing all those annoying and invasive adverts. And of course, if you have any other question, doubt or query about this app, we’ll try to solve it as soon as possible if you get in touch with us through a comment system or our social networks. The main function of both applications is to download videos from the Internet. And we’re talking about the core function because, although Tubemate can also be used for that purpose, Vidmate offers us quite a few more functions. But we’ll get back to that later. Is TubeMate YouTube Downloader safe? The TubeMate YouTube Downloader app is safe. Until now there are no news about the distribution of malware or any kind of threat for the user’s privacy. In fact, its installation doesn’t even involve the download of other unwanted apps as happens in other cases. Is TubeMate YouTube Downloader legal? Downloading TubeMate is legal but whatever you do with it may not be so. The application itself warns us as soon as we download it that it has been developed for personal and private purposes only. In other words, the user can download videos to play them offline only if they are to be watched privately. Its conditions forbid the redistribution of those contents, by means of any channel, and obviously cannot be involved in any commercial transactions. 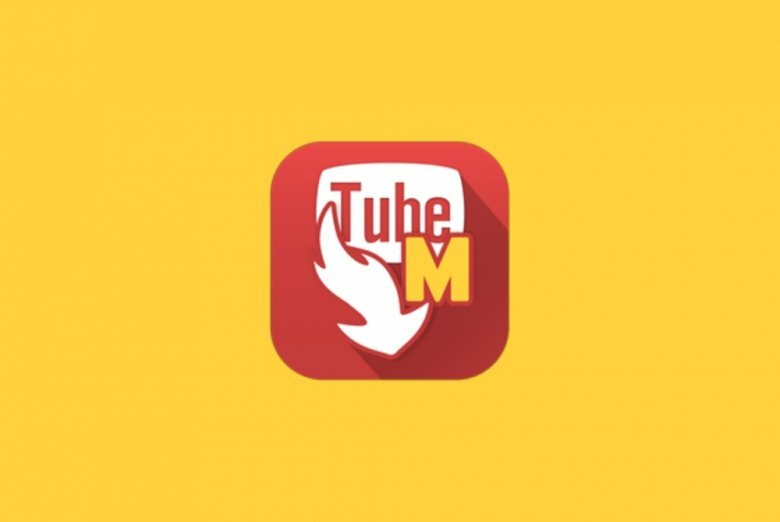 Someone has probably said to you: ‘Look, you’ve got to install TubeMate YouTube Downloader for Android because it’s one of the best applications to download videos and songs from YouTube. Apart from that, it allows you watch them and listen to them offline!’. And if you’ve listened to hat person, you might now be slight mixed up on how to use this app. We’re going to be honest from the very beginning: you can’t use TubeMate without adverts. The application includes ads by default and at present there’s no way to avoid them. Its developers don’t work for nothing, just like you don’t either, and to be able to maintain the development of the application, fix any bug that may arise, performance problems, or unexpected events, they require certain economic backup. This situation could be caused by several different problems. The most common one is that you might not have a decent Internet connection. Make sure that other applications, such as your browser, can go online without trouble to rule out that it has anything to do with your connection. Sometimes, the signal of a WiFi network can be too weak to connect appropriately. What is TubeMate YouTube Downloader and what's it for? TubeMate is an application to download videos from YouTube. We can use to get hold of the contents hosted by this site in MP4 and 3GP formats but it also allows us to rip the audio from the video, extracting it to formats such MP3 and AAC. Thus, we can download and always carry around on our phone our favorite videos and songs, storing them locally on our mobile device without any effort.